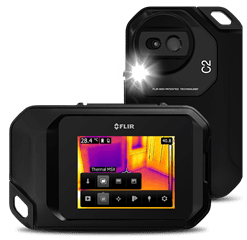 The FLIR E50 Infrared Camera is a compact and lightweight NDT thermal imaging scanner that is ideal for predictive maintenance and inspections of important electrical and mechanical systems. This tool features a user-friendly interface and keypad, with Wifi and MeterLink connectivity, making the FLIR E50 Infrared Camera a necessity for crucial inspections. 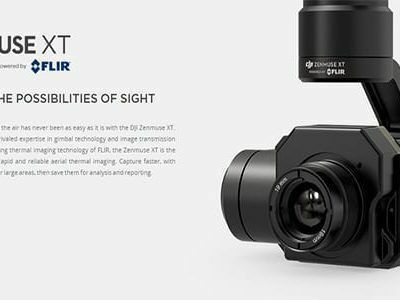 Other features include an infrared image resolution up to 320×240, high quality visible light camera, temperature laser pointer, long battery life, and multi-spectral image storage. infrared image resolution ranges from 160×120 pixels to 320×240 pixels depending on camera model. Every additional pixel means more valuable temperature information to isolate problem areas. FLIR E-Series models weigh only 825g (battery included). 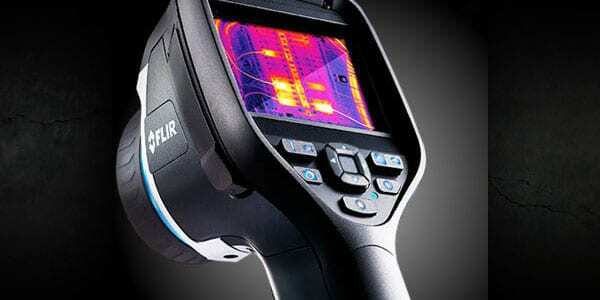 FLIR E-Series thermal imaging cameras withstand a 2 meter drop. quickly review and find your thermal images. High accuracy of ± 2% or ± 2 °C of reading. Large 3.5″ LCD color touch screen. of job site lighting levels. batteries will keep up with your demanding schedule. Merges visual and thermal images to offer better analysis. by using the touch screen. A headset can be connected to make voice annotations. both wide angle and tele-lenses are available. (Apple iOS and Android) for processing and sharing results as well as for remote control.